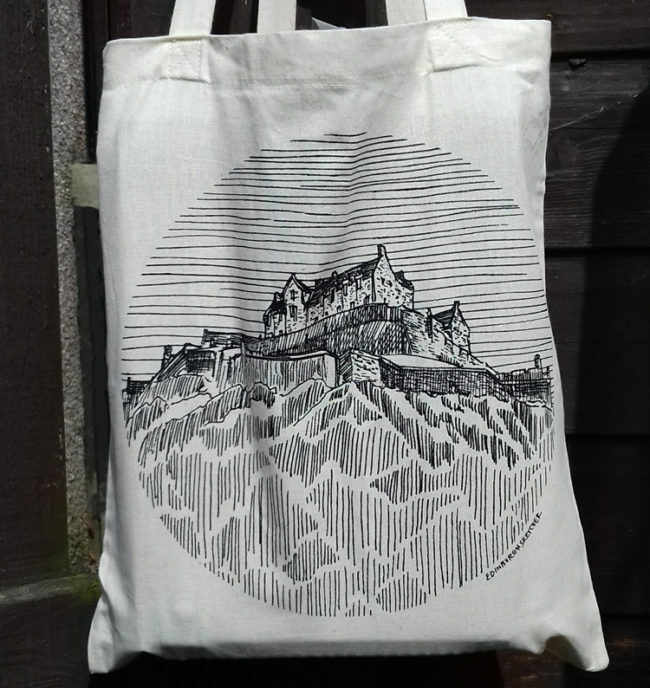 The prize for August is one of my new Edinburgh Castle Totes. Featuring one of my sketches in a circle design the 100% cotton bag is perfect for collecting all those festival flyers! Keep an eye on my facebook and twitter feeds for clues if they are needed later today, and I will pick a winner for the Winners Wall tomorrow afternoon. Can’t wait? Buy an ES tote right now online: Edinburgh Sketcher online store. Assembly George Square gardens box office!! This is the entrance to George square. The assembly box office. Looks ace too! The Assembly Ticket booth at George Square? 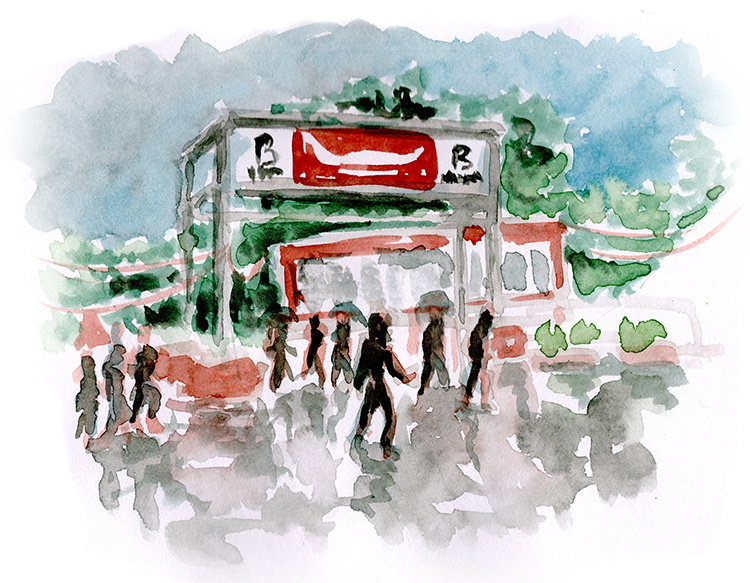 Is it a drawing of the Assembly entrance, on the corner of George Square, near Appleton Tower, with the George Square gardens in the background?